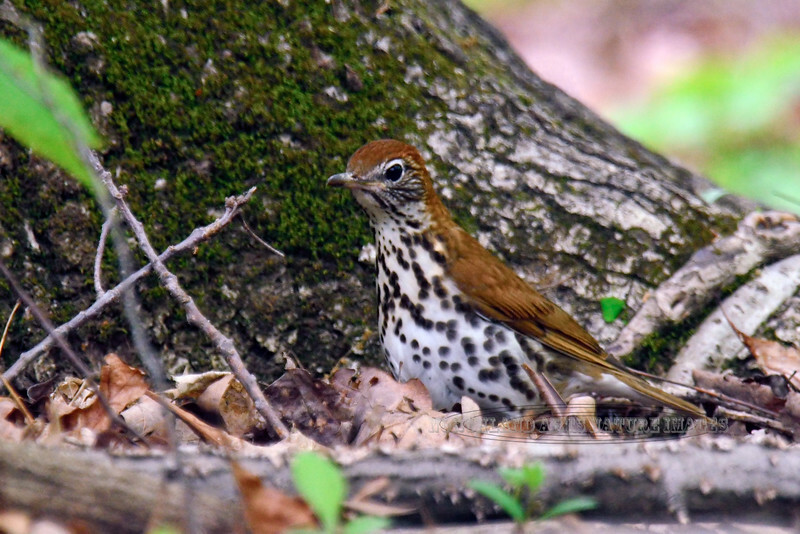 Thrush, Wood (Hylocichla mustelina). Busy searching for invertebrates in the leaf litter. Bucks Co., PA. #519.051. 2x3 ratio format.